I don’t know what makes Sunwheel / Submersible Sailboat such an outdoor recording, but that’s where it takes me, right out the sliding glass door, off the porch threshold, feet into the grass and off toward the woods, or maybe to a clearing or by a lake. I find myself squinting into the sunbeams of Leaaves’s music, overwhelmed by the glare and shielding my eyes as best I can with an outstretched arm. Then the feeling is amplified until my body can’t take it anymore, and the effect disintegrates back into the wash of sound. The two lengthy pieces that comprise this tape were recorded in various places, resulting in this “mixtape of soundscapes.” And the release does indeed act like a mixtape, as there are several “movements” to each piece, some of which end abruptly while others flow into the next gently and organically. 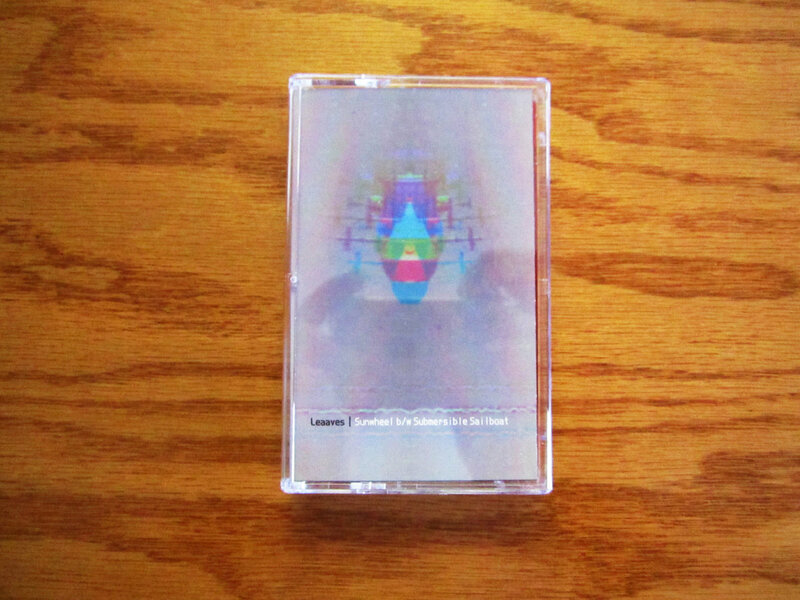 As such, the tape plays like a “greatest hits” of ambient/drone’s textures and headspaces or a primer for experimental found-sound manipulation. At any rate, it’s eminently enjoyable. Just ask me, the dude who wandered into his Florida backyard in bare feet with this on his headphones, totally oblivious to any of the myriad flora and fauna just begging to kill you at the first chance. The winner of the competition? Fire ants! My poor, poor feet. Leaaves is Nate Wagner of Durham, North Carolina, and he’s got a nifty backlist of titles on his Bandcamp page. I suggest you start digging into it.